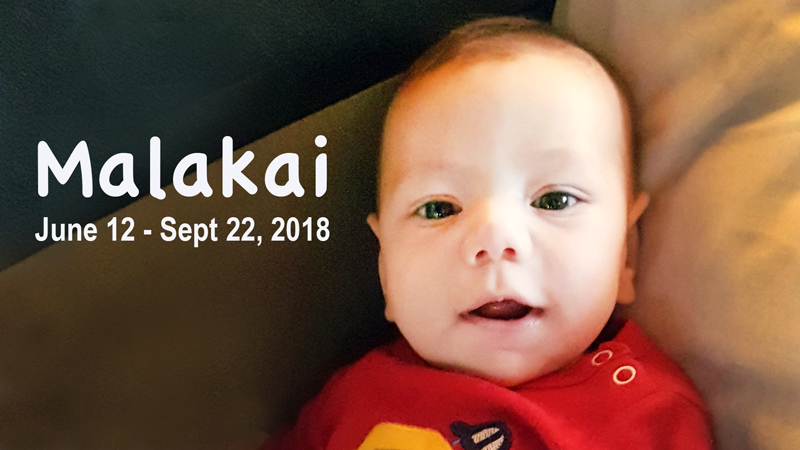 Matthew and Angeline Le Grange of South Africa recently lost their youngest son, Malakai, to eight vaccines on September 22nd, 2018. He was only three and a half months old. Malakai was a vibrant, happy, and healthy baby boy leading up to his 14 week doctor’s appointment. Within a day of receiving his last round of vaccines at this doctor’s visit, he died. No family should ever have to bury their child as an outcome of the destructive path of vaccination. Vaccine death stories from shattered families worldwide continue to be expressed, shared, and shouted from every corner of the world, and we have over a dozen vaccine death stories on this website alone. Please listen. Please hear their truththrough their agony, grief, and tears. The pain of what these mothers and fathers have endured is unfathomable and unbearable, yet these selfless broken-hearted parents offer their tragedies as a cautionary lesson to anyone who will listen and heed their warning. The Le Grange’s share their raw painful experience and horrendous tragedy in their own words below, followed by a question and answer exchange. 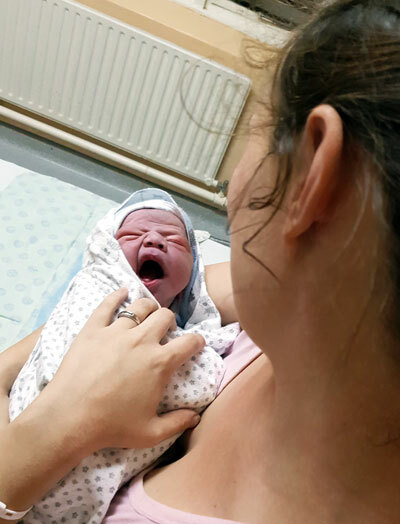 Malakai Le Grange was born on the 12th of June 2018 at the Pretoria West Hospital in Pretoria, South Africa, weighing 4.1kgs (9 pounds, 4 ounces) and measuring 55cm (21.65″). Our healthy big boy was breastfed and growing fast. He had a bit of colic, but other than that he was full of smiles. On the 21st of September, he was taken to a Dis-Chem Clinic for his 14 week check up and vaccinations. He was given the Rotavirus orally, PCV (Prevenar 13) in his right thigh, and a third dose of the Hexavalent (DTaP-IPV-Hib-HBV) in his left thigh. *His vaccine records show at birth he received the BCG (Tuberculosis) vaccine and first dose of OPV. At 6 weeks, he was given a second OPV dose, his first dose of Rotavirus, PCV (Prevenar 13), and the first dose of Hexavalent (DTaP-IPV-Hib-HBV). 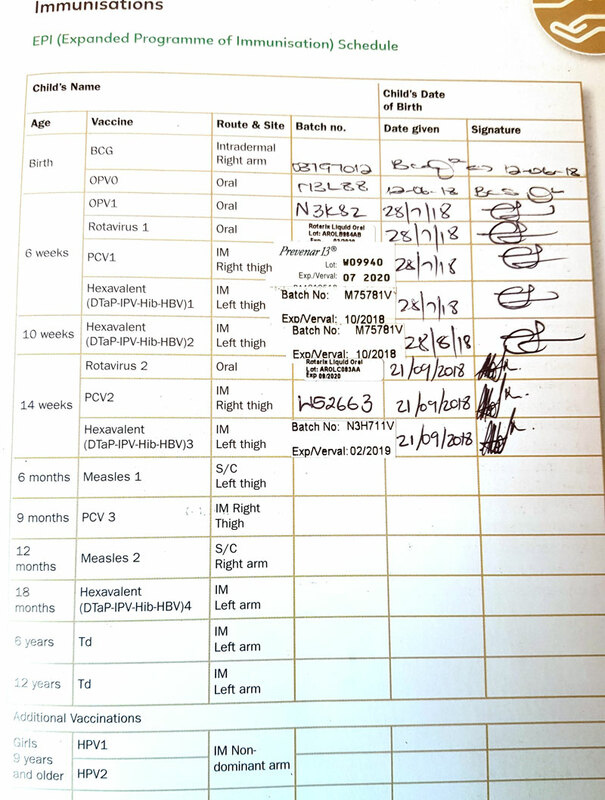 At his 10 week visit, he received the second dose of the Hexavalent (DTaP-IPV-Hib-HBV). The nurse instructed Angeline to give him a dose of Calpol 3.5ml when we returned home. Angeline was alone with Malakai when the nurse gave the injections; the nurse was quite rough as she pulled his legs to inject him and she manhandled his body. Roughly two hours after Malakai got his injections, Angeline gave him a 2ml dose of Calpol and he was closely monitored as he wasn’t himself. We considered this normal as our first born son, Zachariah (20 months old), was usually groggy after getting his vaccinations done. Malakai stayed up a bit later than usual that night and we played with him. He had just started shouting and laughing, so we entertained him, tickled his toes, and enjoyed his new giggle and noise. At around 3:00 a.m. on the 22nd of September, he had his last full feed from mom. Matthew woke up at around 4 a.m. and slept on the couch when Malakai had woken up for a demand feed. At around 6:45 a.m., Angie woke up feeling something in her womb and knew something was wrong. She noticed Malakai wouldn’t wake up and wasn’t breathing. Then I rushed Malakai to Matthew, and he immediately tried to perform CPR, and noticed his lungs were clogged up. We got in the car and drove as fast as we could to the nearest hospital which was a few kilometers away. We took Malakai to casualty and the doctor and nurses urgently tried to resuscitate him. After what felt like days, the doctors came in and told us that they have tried the best they can, but at this point there hasn’t been enough oxygen in the brain for a while now and they must stop. They called his death at 08:10 a.m. September 22nd, 2018.